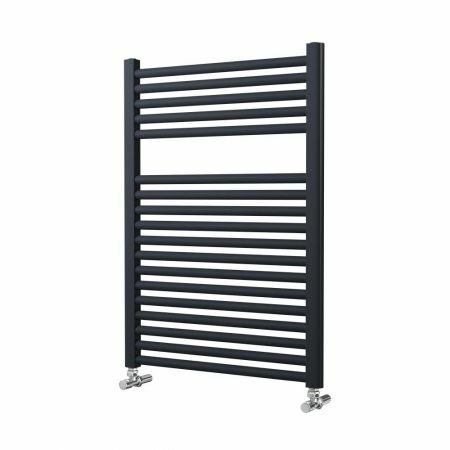 If you’re on a budget and looking for a dark anthracite towel radiator with a beautiful design, then consider our Lazzarini Roma. This radiator comes with 18 rails to hang plenty of towels on and all wall fixings are supplied to install the radiator. This rail comes in two sizes and power outputs. They are both 842mm high. The 500mm wide model outputs 426W or 1,454BTU, while the 600mm wide unit is slightly higher and outputs 508W or 1,734BTU. 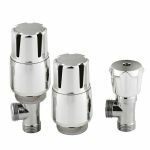 The pipe centres are 455mm and 555mm respectively, and they both have 10-bar pressure and a valve exit on the bottom. They project from the wall 95mm to 110mm. This lovely piece will compliment any bathroom without being obtrusive. You’ll find that the dark finish is a perfect accent for many walls, especially if you're painting them contemporary blues or green. The Lazzarini will help you dry used towels and heat the room a little. 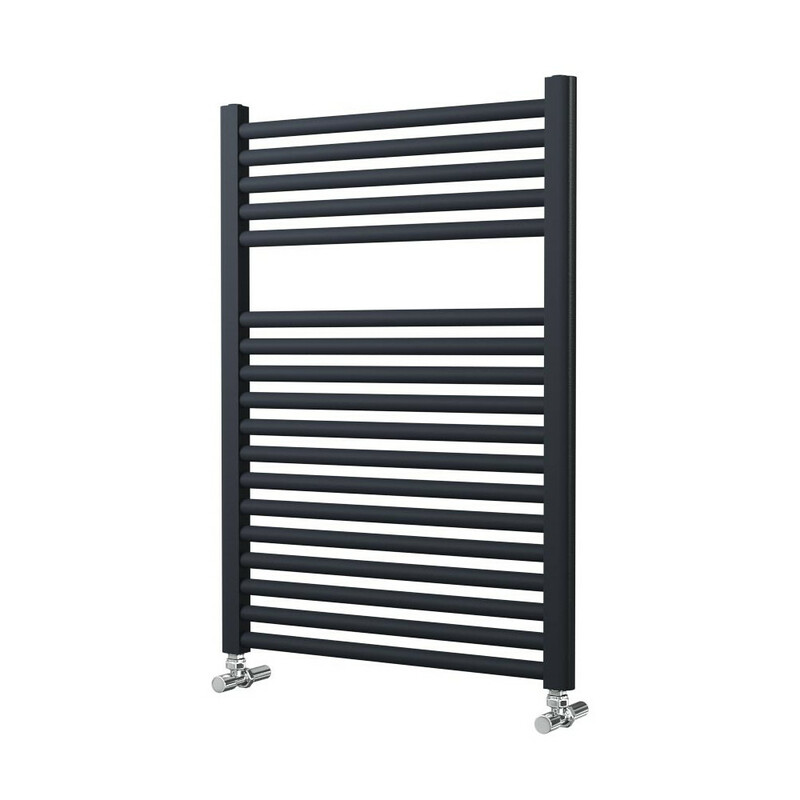 If you want a towel radiator that’s useful and beautiful, then our Lazzarini Roma Anthracite Towel Rail fits the bill. 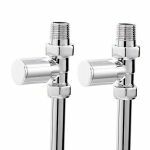 Getting your bathroom the right temperature has never been easier with a pair of thermostatic valves from Phoenix. Angled valves from Hudson Reed with a minimalist rounded body design. 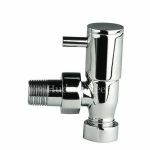 Simple minimalist design chrome on brass constructed straight radiator valves to suit most modern radiators.